A corporate rebranding is a risky endeavour. If poorly calculated, even a simple name change or logo adjustment can result in public backlash, loss of consumer trust and unending bad press – not to mention the millions paid to marketing agencies for the privilege. 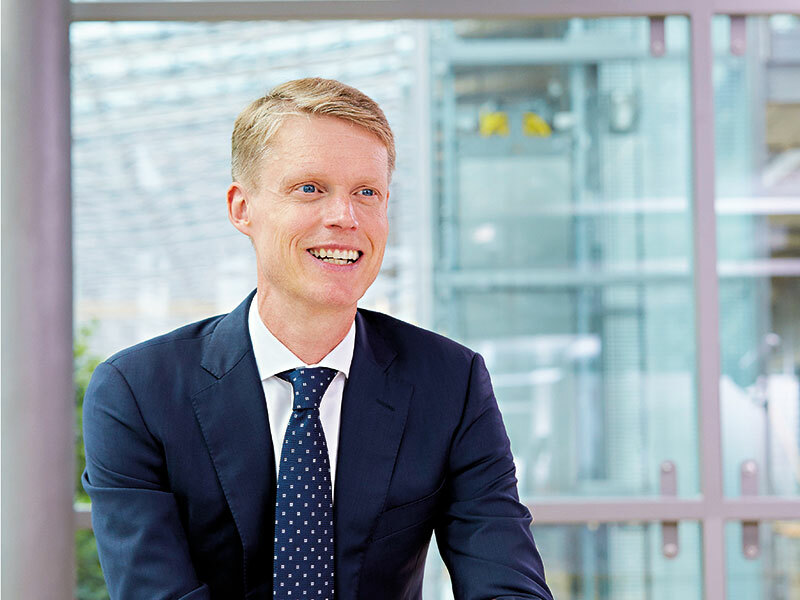 Fortunately, when Danish Oil and Natural Gas – better known as Dong Energy – changed its name in November 2017 to reflect the company’s shift towards renewable energy, CEO Henrik Poulsen had already done most of the hard work. Poulsen agreed to sell all of the company’s oil and gas assets to UK petrochemicals firm Ineos for $1.05bn (€903.7m) in May 2017, having pledged to phase out coal-fired power generation by 2023 earlier in the year. Dong Energy already held the title of the world’s largest offshore wind producer, operating more than a quarter of the wind farms dotted throughout the planet’s oceans. The name change, it seems, was merely a formality. Dong is now known as Ørsted, an ode to the 19th-century Danish physicist Hans Christian Ørsted, who discovered electromagnetism and laid the foundations for modern electricity generation. And alongside the company’s new name and bright blue logo came a bold vision: a world that runs entirely on green energy. Poulsen recognised Ørsted’s potential to be a leader in the renewable energy space from the day he joined the company in 2012. When he announced he would step down as CEO of Danish telecoms giant TDC to lead Dong Energy, Poulsen said the firm held “a key position in Denmark’s transition to green energy”. 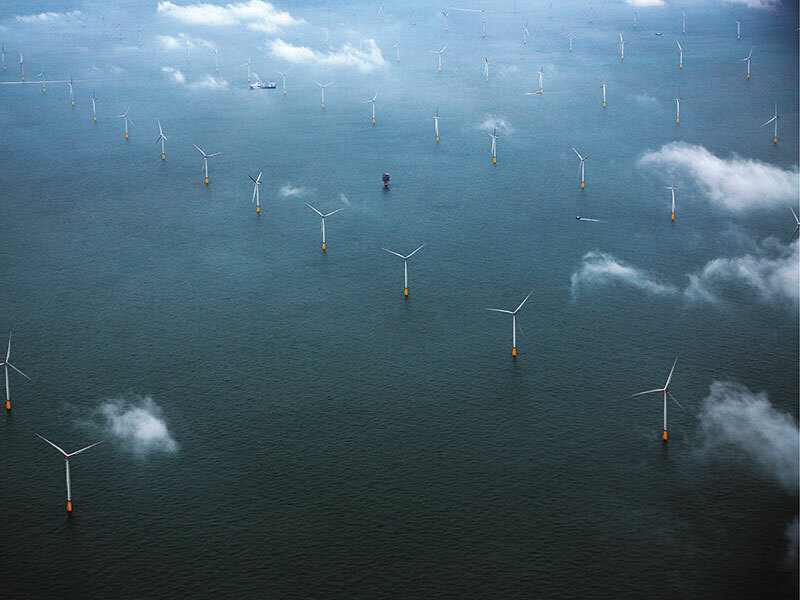 In the time since Poulsen’s declaration, Ørsted’s offshore wind capacity has grown from 1.7GW in 2012 to 3.9GW in 2017, with projects in Denmark, Sweden, the UK, Germany and elsewhere. 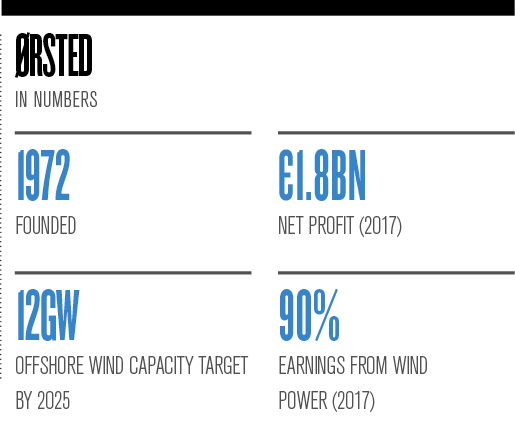 More than DKK 80bn (€10.7bn) has been invested in the expansion so far and, by 2025, Ørsted is targeting an offshore capacity of between 11GW and 12GW. But it would be misleading to suggest the company’s turn to renewables was all Poulsen’s doing. Ørsted, under one name or another, has long been invested in renewable energy. One of the company’s earliest iterations, Elkraft, was responsible for building the world’s first offshore wind farm in 1991 off the coast of Denmark. It’s under Poulsen, however, that the firm has made significant strides to hold its position as an industry leader. According to industry body WindEurope, Ørsted was the largest owner of offshore wind power in Europe last year, with 17 percent of cumulative installations at the end of 2017 – a slight increase from 2016. Ørsted’s most impressive feat, however, has been its success in making renewable energy profitable: renewables now account for 83 percent of capital employed at Ørsted, up from 21 percent in 2006. At the same time, the company’s operating profit has more than doubled to DKK 22.5bn (€3bn). Furthermore, returns made on capital investments have more than quadrupled from six percent to 25 percent. Jonathan Marshall, Head of Analysis at the UK-based Energy and Climate Intelligence Unit, told European CEO the main change in the sector since Poulsen took the reins was a drop in costs, which he attributed to investor confidence and technological advancements: “As the industry has matured and become less risky to invest in, [investors are] demanding lower returns on their loans, which, for a [capital expenditure] heavy investment and [capital expenditure] heavy infrastructure, makes a big difference to the overall costs.” Subsidies have underpinned the offshore wind sector since it started in the 1990s, but Marshall believes the industry has grown to the point where it often doesn’t need government support. This stark drop in prices was clearly demonstrated last year, when Ørsted was awarded a contract to build Hornsea Project Two off the coast of the UK. With a capacity of 1.4GW, the wind farm will be the world’s largest when it is completed in 2022. However, the price Ørsted paid for the contract for difference was 50 percent lower than it paid in the previous round just two years earlier. As prices for renewable energy drop, companies are increasingly feeling the pressure to act on climate change. “If you go to an annual general meeting or watch a big presentation online, all of the questions from an audience to the CEO or the panel are about carbon emissions; about how these companies are going to deal with the problem,” Marshall said. The transformation of Ørsted over the past six years has been no small undertaking, but Poulsen is famously fond of a challenge. He was thrilled to join a company that would thrust him onto a bigger stage. Upon leaving TDC in 2012, Poulsen called his new role as CEO of Dong Energy an “uncommonly interesting challenge” and said one major attraction was the “challenge that comes with the fact that Dong Energy is a company of which many people have high expectations”. Poulsen was referencing the fact that Dong’s finances had taken a hit in 2012. Operating profits had fallen by more than a third and the company’s credit rating had been slashed as a result. The state-owned firm was running low on capital to invest in its emerging offshore wind business. As part of a restructuring plan in 2014 – after the Danish Government had declined to inject new equity into the business – Dong sold almost 19 percent of the company to Goldman Sachs for DKK 8bn (€1.1bn). The controversy of the sale was so profound it nearly caused the government to collapse. Denmark’s ruling coalition split, with six cabinet ministers and the Socialist People’s Party withdrawing from government. 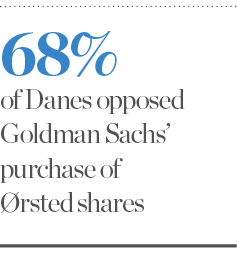 A poll at the time showed 68 percent of Danes were against the sale to Goldman, while nearly 200,000 people signed an online petition opposing the deal. Despite this hurdle, Poulsen went on to lead the company through a period of immense change, overseeing an initial public offering (IPO) in June 2016 that boosted its international profile considerably. The successful float valued Ørsted at DKK 98.2bn (€13.2bn), one of the biggest stock market listings of that year and the biggest ever in Copenhagen. On the first day of trading, Ørsted’s shares soared by around 10 percent, proving there was a strong investor appetite for the fast-growing offshore wind industry. Some imagined Ørsted’s IPO to be Poulsen’s final challenge at Denmark’s largest energy firm – his name has been mentioned in connection with the likes of Danish shipping giant Maersk and oil behemoth Royal Dutch Shell – but Poulsen has suggested he is not finished yet. At the time of the IPO, Poulsen told the Financial Times that his journey with Ørsted was “only getting started”. Although Ørsted was previously involved in onshore wind, it sold the business in 2013 due to financial challenges. “For an international business like Ørsted, I think there’s probably a lot of sense in looking to onshore [wind],” Marshall said. Ørsted is also facing more competition now than ever. Gujral explained that offshore wind development in Europe – where Ørsted was a pioneer – is becoming crowded. For the company to keep growing, it will have to look at other markets, namely the US and Taiwan.